London, England, February 23rd, 2010 – Christina Strutt, the creative force behind the international lifestyle brand Cabbages & Roses, celebrates her signature décor style in the new book At Home With Country, published by CICO Books. Throughout Europe, Cabbages & Roses is synonymous with English Country styling, and the brand’s refined rustic look is a perennial favorite among celebrities and discriminating clients alike. Founded by Christina in 2000, the brand has grown by leaps and bounds, and is now featured in over 30 UK retail locations, including two highly successful stand-alone boutiques in London proper. 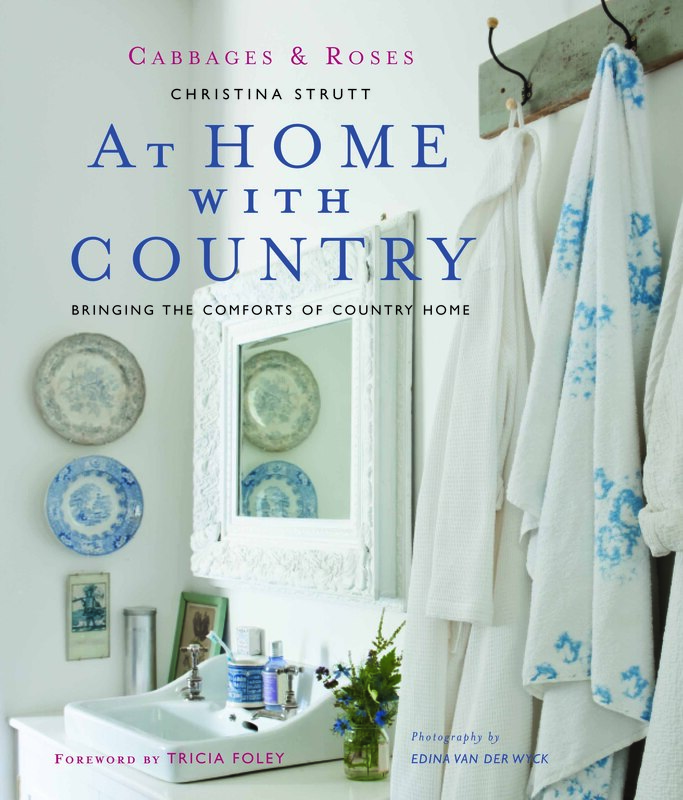 With At Home With Country, Christina’s fifth book, showcases her distinct brand sense, and flair for home décor with dwellings from two continents that equally exude country charm. Featuring residences in both the US and the UK, Christina tackles industrial, cosmopolitan, cottage and urban spaces finding unique ways to infuse country and rustic English style and her romantic products into the interior and exterior design. More than makeovers, the book features Cabbages & Roses style of fusing old and new together to create décor that evokes warmth, sophistication and emotion, with defining prints and luscious signature products. From rural retreats to English manor houses, from New York city apartments to enchanting Cape Cod beachside homes sumptuous photography captures the charm that English Country styling creates. April 2010 marks the brand’s 10th Anniversary and, to honor this milestone, At Home with Country will be released transcontinentally throughout both Europe (April) and North America (March). Christina Strutt began developing Cabbages & Roses http://www.cabbagesandroses.com in a barn in Somerset, and in the past ten years, has guided the growth of the brand from a small mail order company into a versatile and highly recognizable lifestyle brand with a globally expanding business. Prior to Cabbages and Roses, Christina was a stylist in the US and the UK, as well as for international editions of Vogue, Victoria, Interiors and other publications. Her previous books include A Guide to Green Housekeeping (CICO), Romantic Home Sewing (Potter Craft), and Decorating Vintage Style (Hearst/Sterling). Married with two children, Christina lives near Bath, England. The book looks fantastic, I can’t wait to buy my copy. I love the Cabbages and Roses style. Thank you for you lovely message…we so love hearing this! Mary! We love YOUR blog…so yummy with super photography. I’d love to talk to you about a special C&R post…we have lots going on that I think might be of interest to you. As they say, let’s chat! I must have my copy of this book!!! I absolutely love Cabbages and Roses and I already have the gorgeous Home-made vintage and I’m in love with all images and projects of the book.